BBK Underdrive Pulley Kits Free Up To 8-15 HP! When it comes to adding power at an affordable price, very few items can compare to these BBK Performance Parts Underdrive Pulley Kits. Proper electrical charging is ensured by careful engineering of the pulley diameter while still increasing power. 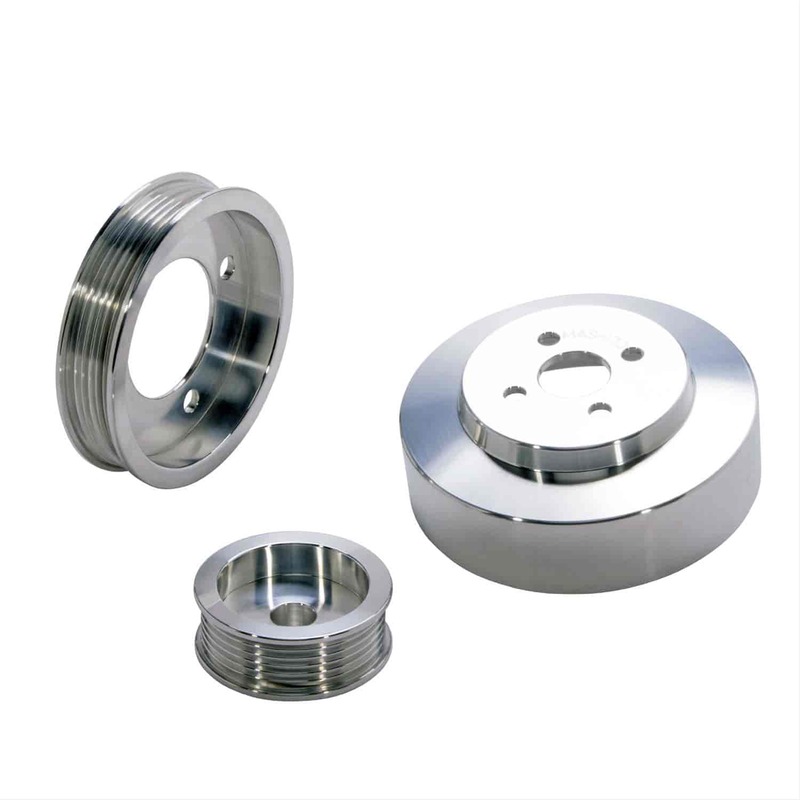 BBK Ford Underdrive Pulley Kits are CNC machined for a perfect fit and available in your choice of polished aluminum or black powdercoated steel. . Does BBK Performance Parts 1554 fit your vehicle? 1554 is rated 5.0 out of 5 by 1.